Dating back to 1930 and located in the centre of Athens, the 5-star King George, a Luxury Collection Hotel, represents the absolute essence of a fascinating boutique hotel. 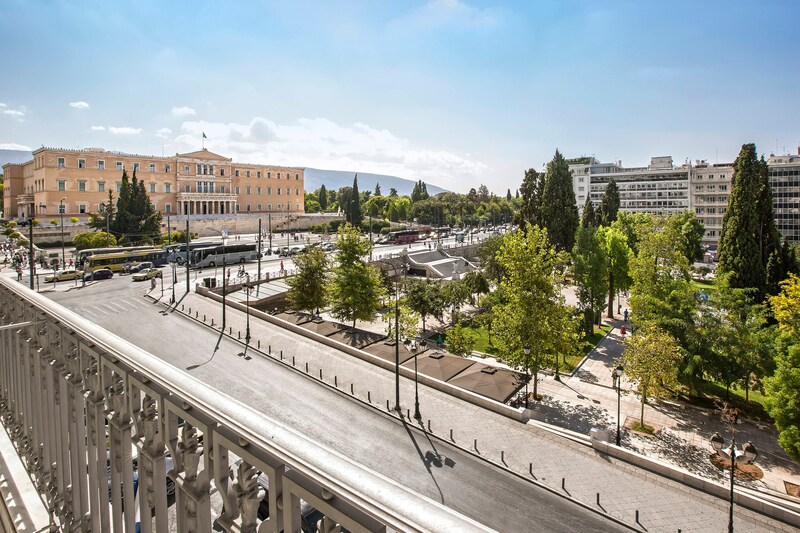 Perfectly situated for captivating experiences, a truly inspiring and gracious venue, King George is located within walking distance from the wonders of Athens. 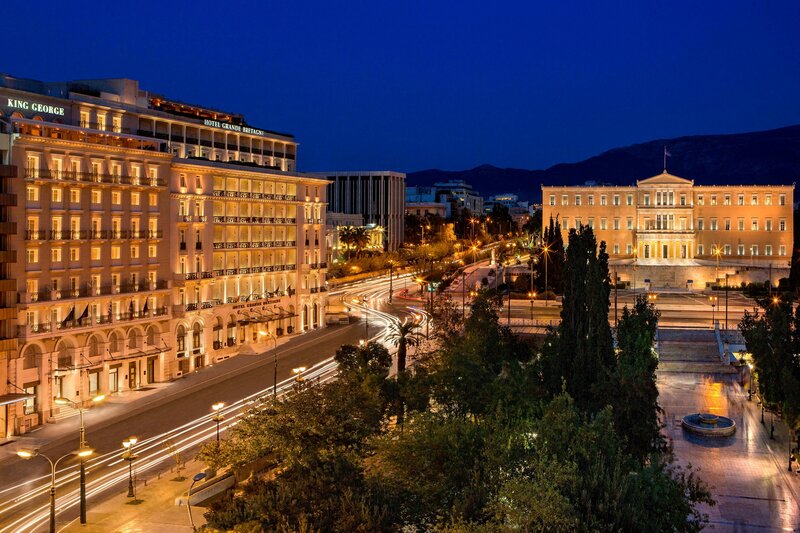 The Acropolis, Agora, Plaka and Thission are nearby, so are upmarket boutiques, world-renowned museums and the city’s vibrant business district. With 102 rooms and suites, a Penthouse Suite with private outdoor pool overlooking the fabled Acropolis, the awarded Tudor Hall Restaurant featuring authentic Greek cuisine and incomparable views of the city’s landmarks, King George finds its best expression in the outstanding personalized service. Selected amongst the best restaurants in Greece in 2017, for the fourth year in a row, Tudor Hall restaurant recently received the Greek Cuisine and the Toques d’Or award by Athinorama magazine. Tudor Hall has also managed to receive from its very first year of operation the special recognition of &apos;Best of Award of Excellence&apos; from the famous ‘Wine Spectator’ magazine. This engaging location includes heritage destinations such as the Parthenon, Acropolis Hill, the New Acropolis Museum, and the Ancient Agora - as well as historic communities such as Plaka and Thission. The palatial two-bedroom Penthouse Suite is primarily distinguished by an expansive private outdoor pool that allows stunning views of the Acropolis and our renowned city from the ninth floor. On the adjacent terrace are charming sitting and dining areas. Experience the 350sq. meters Penthouse Suite. Featuring a private outdoor pool overlooking the famed Acropolis and the luminous city of Athens, we invite you to absorb the impressive views and relax with the tranquil senses evoked by the private pool. Featuring the most astonishing private pool in Athens, the 350 sq. meters Penthouse Suite unfolds the city&apos;s utmost historic treasures. 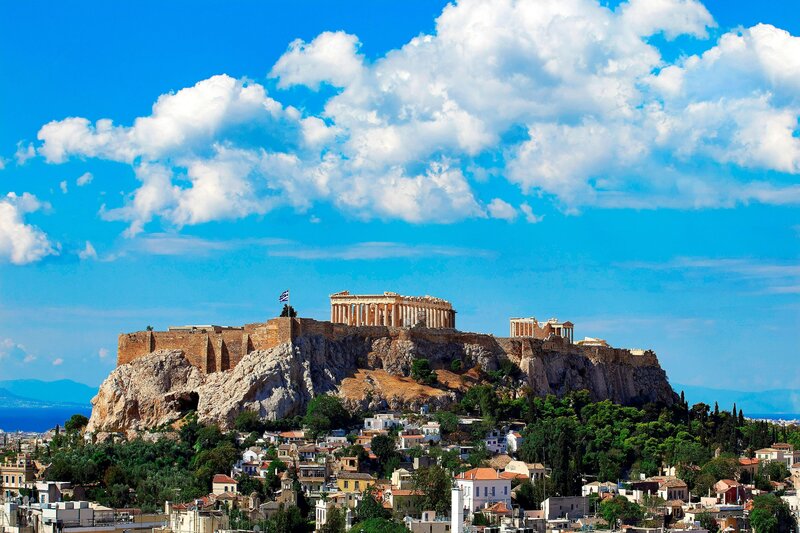 The clear views of Parthenon provide our valued guests with the finest panorama of Europe&apos;s oldest capital: Athens. Elegantly appointed with the most eclectic furnishings, the Penthouse Suite creates a selection of admiring feelings from the very first impression. Walking through a long marbled corridor, the crème colored spacious living room lightens up the main area of this exceptional suite. After noticing the full-mirrored walk-in closet on the left hand side of the corridor, the master bedroom of the Penthouse Suite welcomes you to its peaceful environment and introduces you to the Signature Luxury Collection King size bed. As an added value to the sumptuousness of the Penthouse Suite, one more bedroom showcasing the Luxury Collection King size bed is also available. 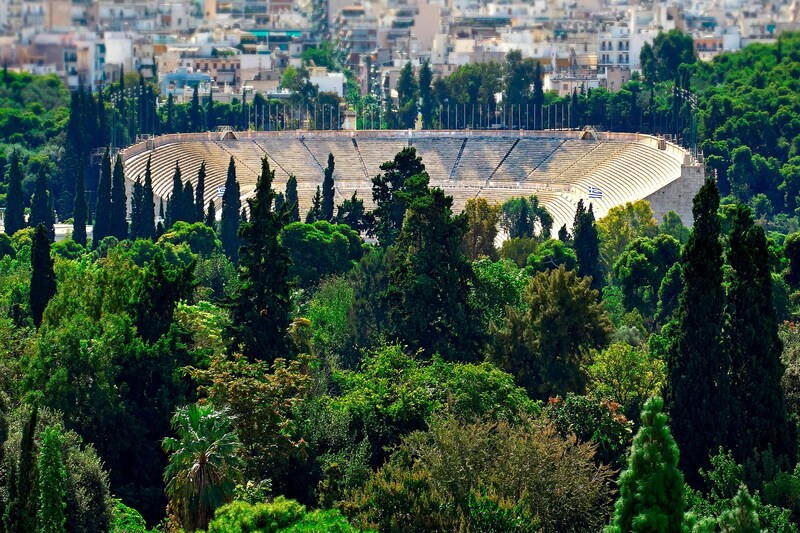 Cultural Walks are a signature experience program offered to guests: a guided walking tour to nearby cultural treasures of Athens. Participation is allowed only to in-house guests, and spot reservations are required. The tours are organized by the Concierge department. King George Athens not only represents the absolute essence of a fascinating boutique hotel but it also encapsulates the finest sense of fine art and elegance. Located in our lobby, the Murano chandeliers, the bright marbles and the finest furnishing are just some of the elegant touchpoints. Our hotel houses a number of vivid paintings exclusively curated by renowned Greek artists such as Pavlos Samios and Kostis Georgiou or even the unique Golden Olive Trees by Constantinos Valaes.